In accordance with the recently adopted Hangover Principle, 2011’s other surprise summer comedy is now also getting a sequel: The Hollywood Reporter, which has been on the receiving end of some really exciting studio ticker-tape today, notes that New Line’s returns on Horrible Bosses have finally created the economic necessity of expanding the franchise in order to take advantage of obvious interest from its consumer base. Also, because it might be funny, we guess. 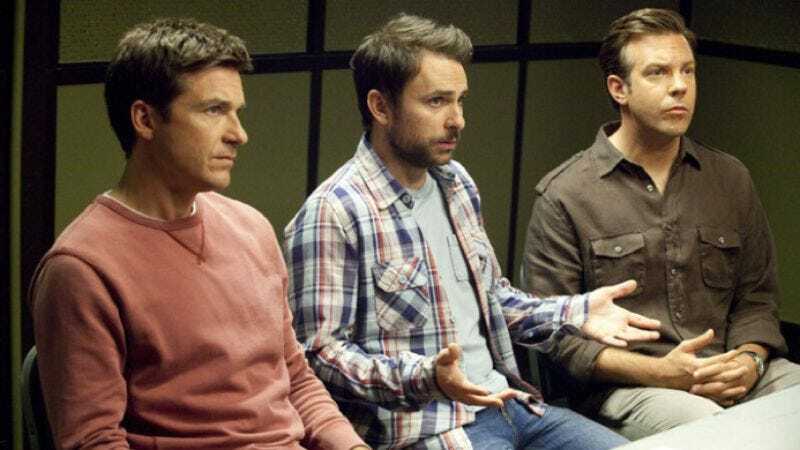 Screenwriters John Francis Daley and Jonathan Goldstein have already signed a deal to begin work on the follow-up, which is expected to see director Seth Gordon and stars Jason Bateman, Charlie Day, and Jason Sudeikis return for an all-new adventure. Of course, it will presumably be remarkably similar to their last adventure, otherwise there would be no point in calling it a sequel, but who knows what other stars they’ll try to kill this time with minor variations in the bungling of their attempts? The comedic possibilities are truly wide open, except for anything that might risk creating an unfamiliar product.